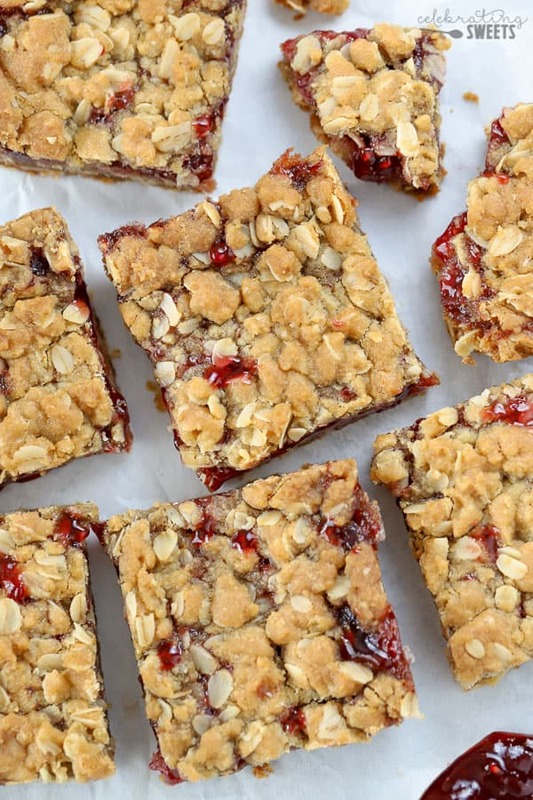 Buttery brown sugar Oatmeal Bars with a fruity jam filling. This simple recipe comes together in minutes, with the crust and topping made from the same mixture. Use your favorite flavor of jam. Hi, friends. Let’s cut right to the chase. 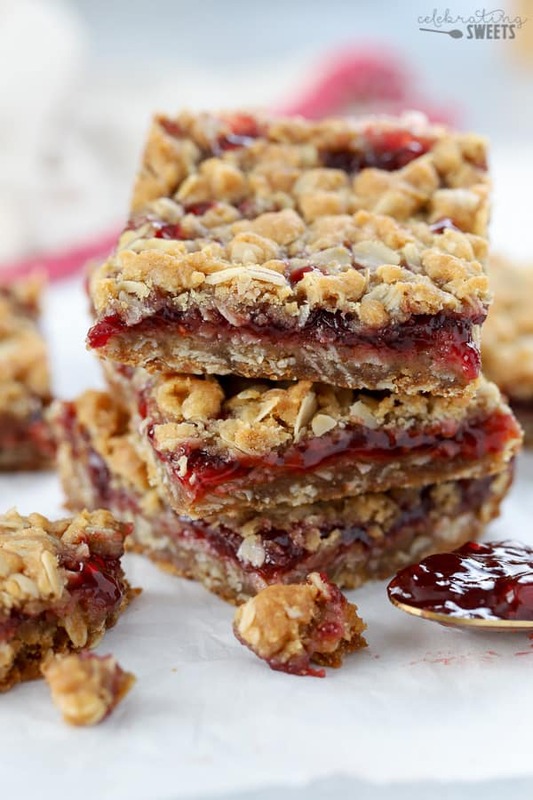 Buttery brown sugar oatmeal cookie bars sandwiching a thick layer of jam. Are you in? Yep, me too. There’s so much to love about this simple recipe. 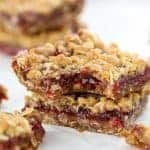 It comes together in just a few minutes, it can be enjoyed for breakfast or dessert, it can be served warm, chilled or room temp, and it can be made with any flavor of jam. Choose your favorite flavor of jam or preserves (I’m currently obsessed with Bonne Maman Four Fruits Preserves). This is a super simple recipe, with the crust and topping made from the same mixture. Here’s how to do it. Crust/topping mixture: Whisk melted butter, brown sugar and vanilla. Add flour, oats, salt, and baking soda. Stir it up until you have an oatmeal cookie dough. Press it in the pan: Dump a little more than half of the mixture into a 8×8 pan and flatten it into an even layer. Bake the crust for 10 minutes. Add the jam and topping: Top the warm crust with jam, spreading it all the way to the corners. 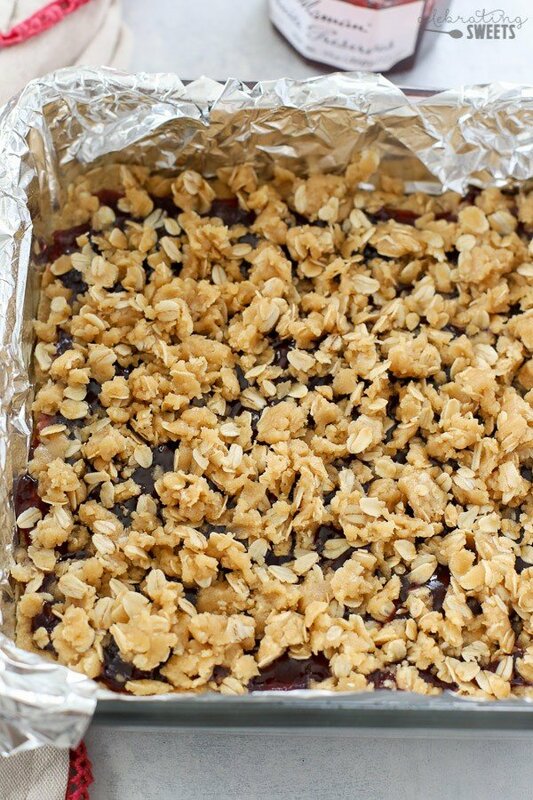 Crumble the reserved oatmeal mixture over the jam and return to the oven for about 15 more minutes. TIP: Line your 8×8 baking pan with foil or parchment paper, leaving a little overhang on two opposite sides. Once the bars are cool you can lift them right out of the pan and cut them easily. After baking, allow the bars to cool, and you’ll be able to cut them into clean slices. I most often serve these bars at room temperature or chilled so they’re firm enough to be held easily. If you’d prefer to eat them warm, you can! They will be a bit less stable and need to be eaten with a fork or spoon (see photo below). When serving these warm I like to top them with a scoop of vanilla ice cream. 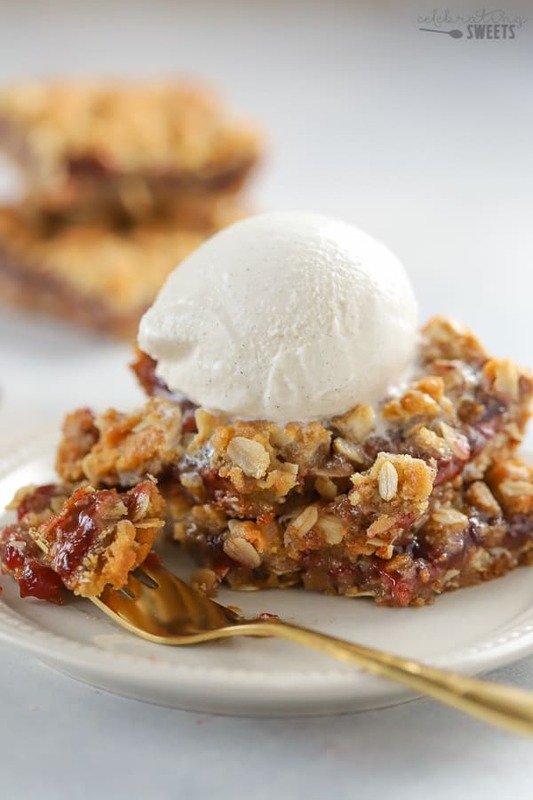 It’s like eating a fruit crisp that is heavy on the topping, with jam instead of fruit. Swoon. 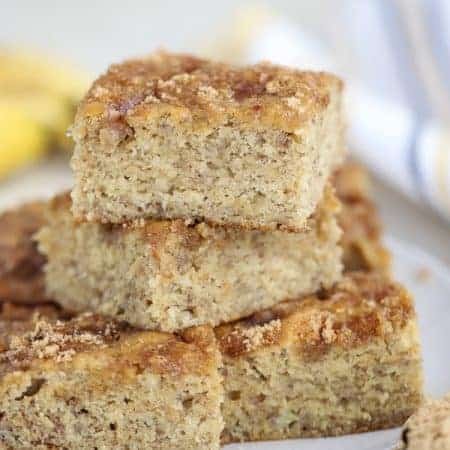 What’s not to love about a dessert that can feed a crowd, travel well, and maybe also be served for breakfast (there are oats in there!). I mean, yes, technically this is a dessert, but if you wanted to cut yourself a square to nibble on along with your morning coffee I would pass zero judgment. I only ask that you invite me over to join you. Recipe adapted from Nutella Stuffed Oatmeal Cookie Bars. 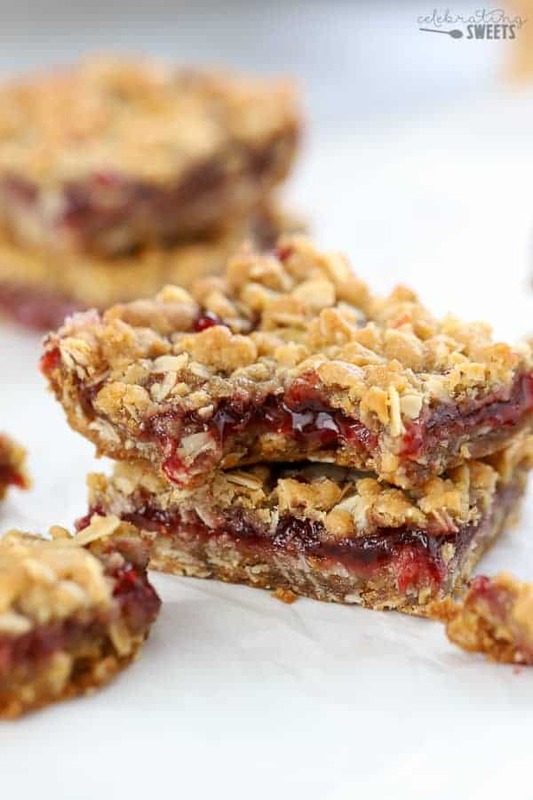 Buttery brown sugar Oatmeal Bars with a fruity jam filling. Preheat oven to 350°F. Line an 8x8 pan with foil or parchment paper (leaving overhang on two sides for easy removal). Spray with nonstick spray. In a medium bowl, combine, flour, oats, salt and baking soda. In a large bowl, whisk butter, brown sugar and vanilla until well combined (this will take at least one full minute). Add dry ingredients and stir with a rubber spatula or wooden spoon until combined. Pull out about 3/4 cup (a little less than half) of the cookie dough and set that portion aside (it will be the topping). Dump the remaining dough into the prepared pan and press it down into a flat even layer. Bake for 10 minutes. 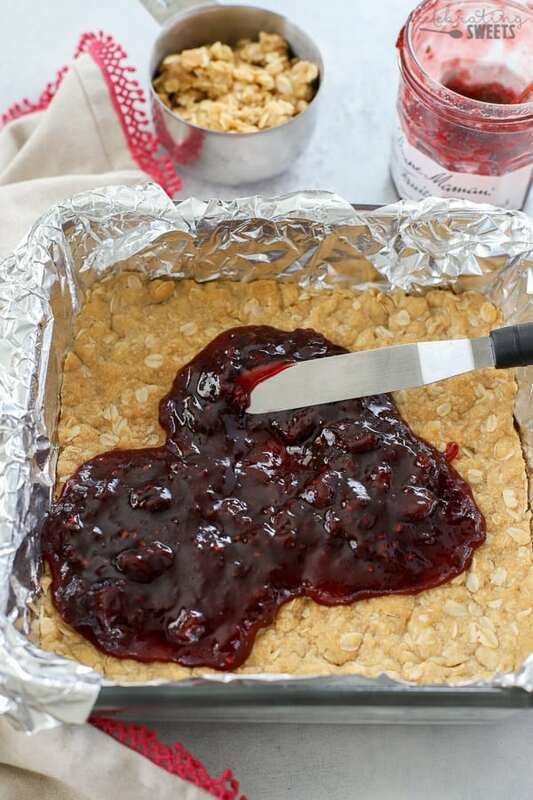 Remove from the oven and carefully spread the jam on top of the cookie base. Take the reserved cookie dough and crumble it over the top of the jam layer. Return to the oven and bake for 14-16 more minutes, until the topping is light golden brown. Place the pan on a wire rack to cool. I prefer a jam that has a balance of sweet and tart flavors. I've used Tart Cherry Jam as well as Bonne Maman Four Fruit Preserves. Sounds great! Love adding a scoop of ice cream on top! My aunt used to make these and I adored them! I never had her recipe. I can’t wait to make these!! This is amazing! 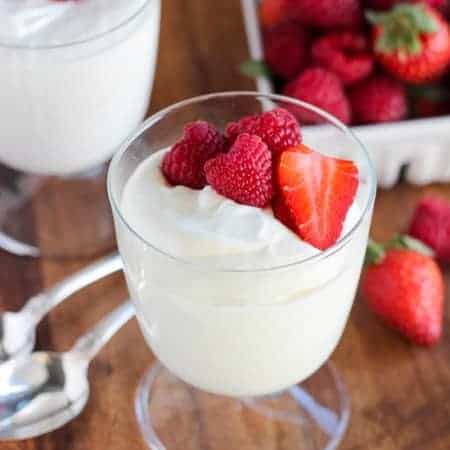 Super easy to make and taste amazing! Everyone said these were the best bars I’ve ever made! 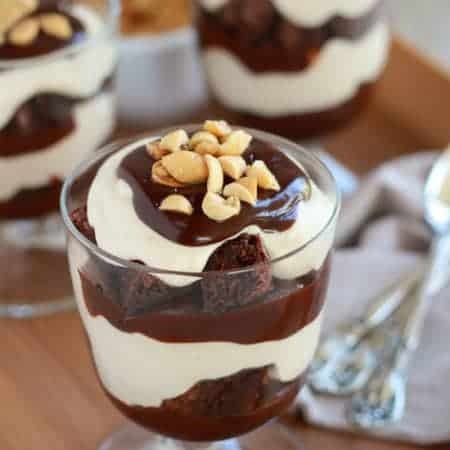 Oh my goodness, these look incredibly delicious!! I can’t wait to try this recipe!! These look SO yummy! Love the sweet jam filling! This is the perfect treat for my lunch box. Looks divine! OMG, this recipe has my name on it! So simple yet incredibly delicious, can’t wait to try this! Can I double this recipe? Would I use a 13″ x 9″ pan? Thank you! I haven’t tried it, but I think that it should work. Enjoy!